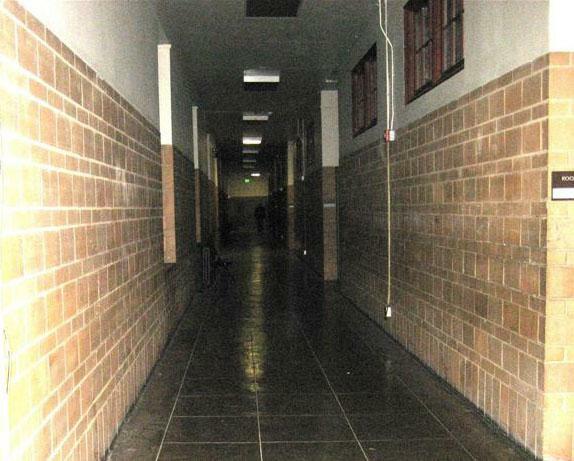 The following photo is from a paranormal investigation conducted by Paul Dale Roberts of HPI Paranormal. 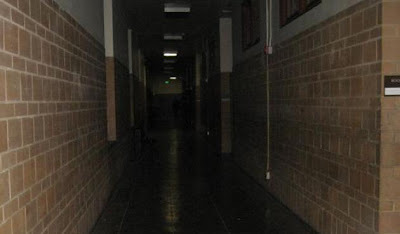 A shadowy "figure" can be seen at the end of the hallway. It was taken at 7:20 P.M. with witnesses who can verify the fact that no one else was up there at that end of the building at the time. 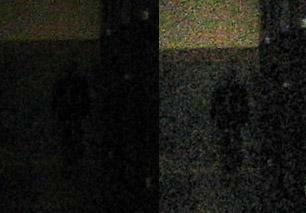 Nothing was visible to the naked eye, and the figure only made itself known after reviewing the photograph. In order to preserve confidentiality and privacy for the tenants, the building name and location were not revealed. The darker image is the original, and the lighter one has been lightened with photo editing software to see the figure more clearly. Could it be a ghost that walks the halls of this building after hours?